In the back of Feve Artisan Chocolatier’s factory, Founder and Head Chocolatier Shawn Williams fusses over two-tenths of a degree. He’s watching closely as chocolate-covered candied orange peels creep along a conveyor belt on their 14-minute journey through Feve’s cooling tunnel. The device, which is basically a horizontal refrigerator and dehumidifier, is the longest glass cooling tunnel in the U.S. If the temperature inside is off even slightly, the chocolate won’t crystallize properly, resulting in a dull finish unworthy of the Feve name. But get it right and the result is a gleaming confection that blends innovation, art, and flavor — a classic Feve creation. Founder and Head Chocolatier Shawn Williams, left, and President Bryon Sheets at Feve’s factory in San Francisco. 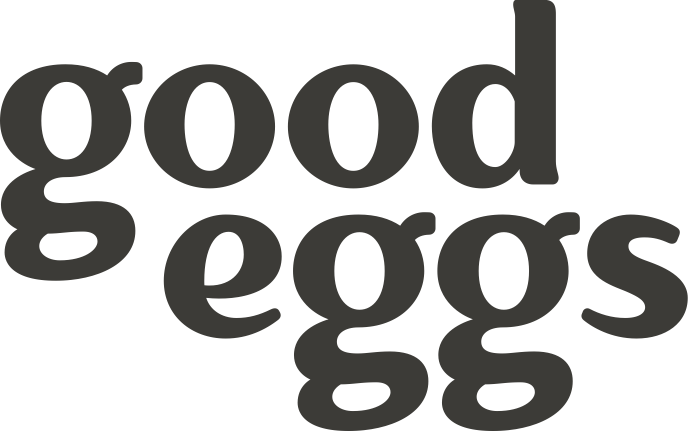 Feve is one of ten Good Eggs producers that also happen to be our neighbors here in the Bayview District of San Francisco. 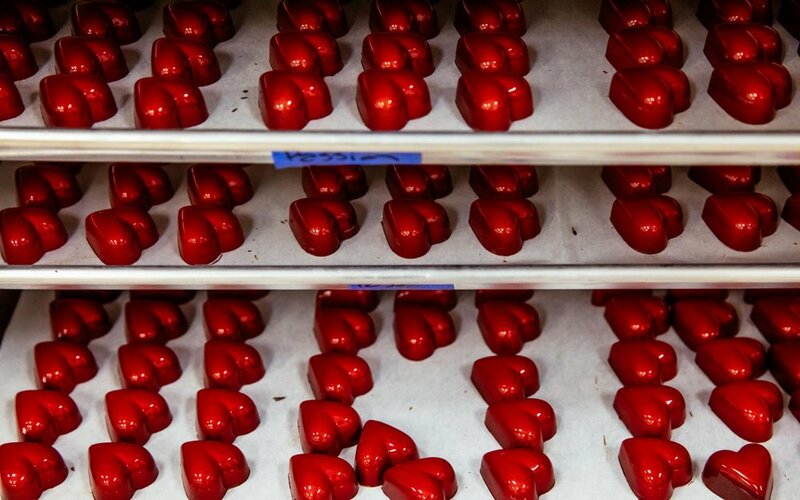 With Valentine’s Day on the horizon, we took a trip down the block to tour their factory with the company’s president and shareholder, Bryon Sheets. His background is in business management and he’s always had a passion for specialty food, which makes him perfectly suited to lead Feve as it grows. “The vitality and enthusiasm in the Bay Area around the specialty food industry is just energizing,” he says. Bryon oversees the long-term strategy at Feve, which operates out of a 6,300 square-foot facility where all their products are crafted and packaged. It’s cozy, but with just six employees, there’s plenty of space to make the confectionery magic happen. That magic begins with premium chocolate. 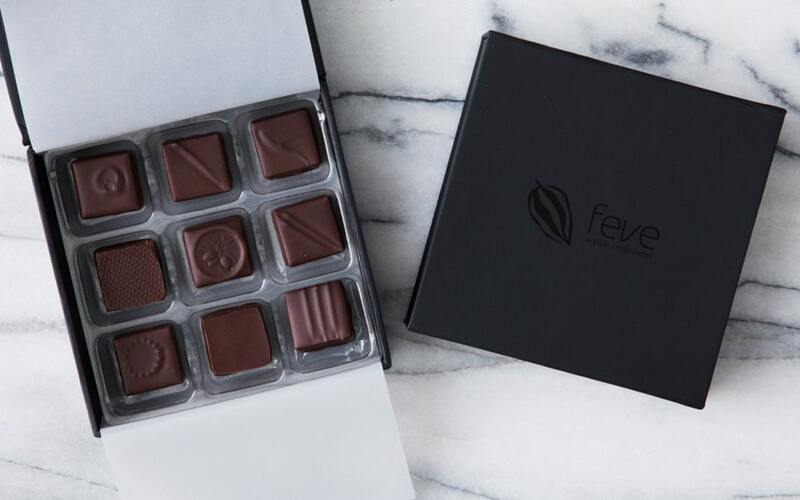 Feve is obsessed with finding the highest-quality non-GMO chocolate, which they source from all over the world, including right here in San Francisco. Feve pays twice as much for this chocolate compared to what they could pay — money that Bryon and Shawn agree is well spent. “Wherever we get our chocolate, we want it to come from fair-trade and sustainable sources, where we know that the cacao farmers are receiving a living wage for their efforts,” Shawn says. Building on this mindset, the company gives a portion of their profits as micro-loans to cacao farmers, a gesture that has its roots in the early days of Feve, when Shawn used a micro-loan from Kiva to jump-start his business. To complement their premium chocolate, Shawn hunts for the best local and organic ingredients to create distinct flavors like Black Sesame Matcha, Cardamom Whiskey Almond, and Chipotle Spiced Caramel. 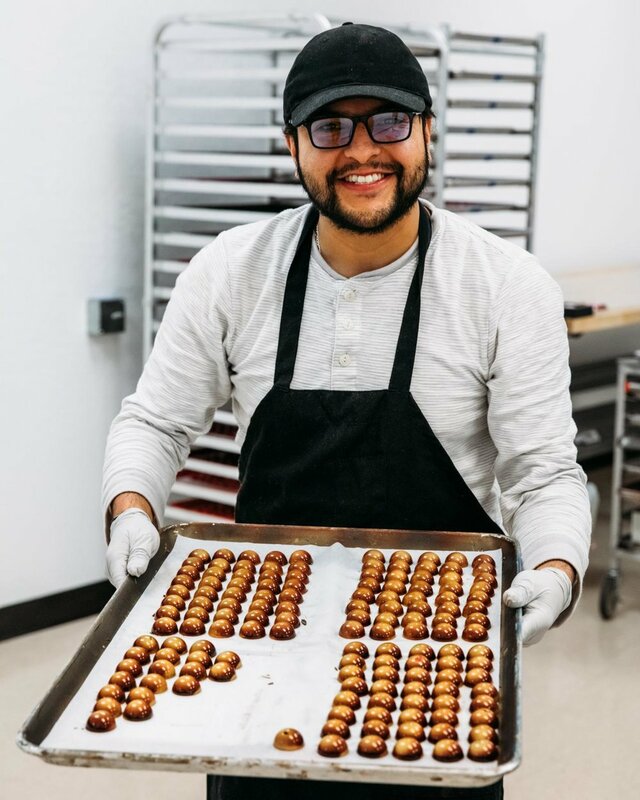 Their Honey Lavender Truffles, for example, are made from wildflower honey and lavender harvested from their farm on the Sonoma Coast, less than two hours from San Francisco. The bees that make the honey also pollinate the same lavender flowers. 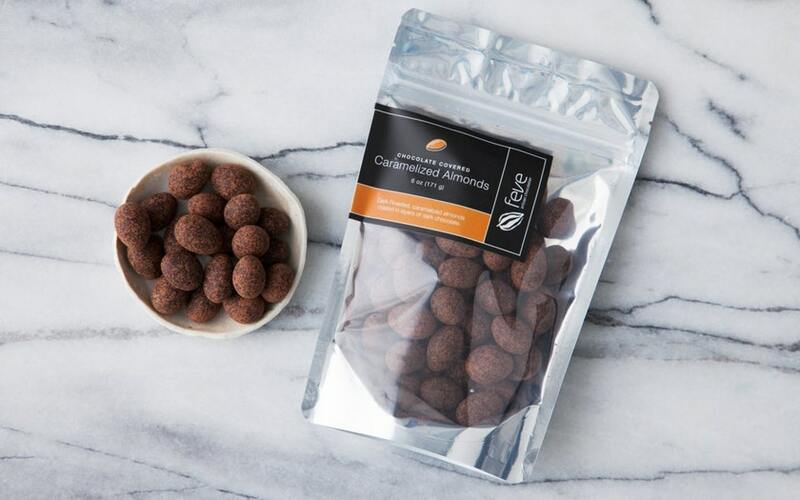 To control quality and flavor, and maintain strict sourcing standards, Feve makes many of its other ingredients in-house, including cooking their own caramel and roasting their own nuts. 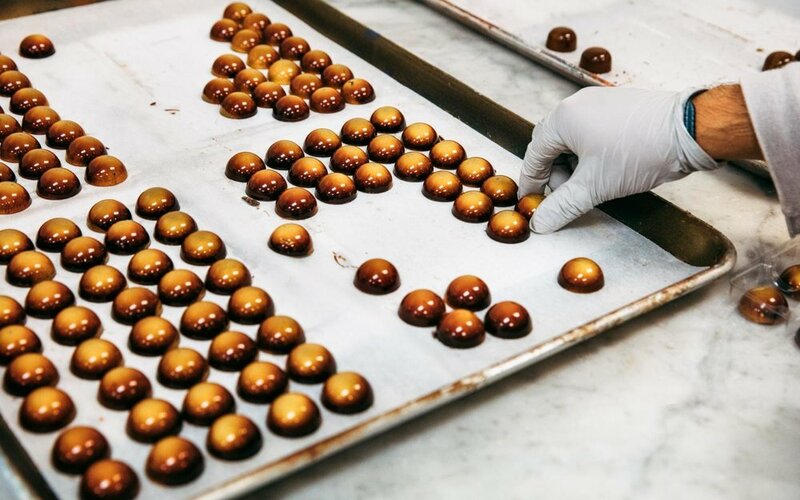 They take just as much care in deciding what to exclude from their creations, achieving their signature shine without products like confectioner’s glaze or wax used by traditional chocolatiers. You won’t find any preservatives, fillers, or compounds, either. “We’re making a more naturally produced product without artificial flavors,” Bryon says. The best ingredients only get you so far. It’s Shawn’s experience — he’s worked as an Admiral’s chef in the Navy, pastry chef at Michelin-starred La Folie, and apprentice to noted Chocolatier Ewald Notter — combined with the team’s inexhaustible passion for quality that sets Feve apart. Each individual chocolate, confection, and truffle is inspected by Shawn or his team of experienced chocolatiers before it’s packaged. Even their equipment is selected carefully — an enrobing machine from Germany, a nut roaster from Italy, and molds from Belgium. “Our equipment tends to come from Europe because there is a long history of quality confection-making equipment manufacturing and innovation there,” Shawn says. He even traveled to Belgium with Bryon to tour and inspect their mold supplier’s factory. “You need molds that can withstand thousands of uses and create the same design, with the same level of detail, year after year,” Bryon says. This obsessive attention to detail across every aspect of Feve’s operation sets the stage for Shawn and his team to experiment and innovate. Brands are eager to work with Feve and often request custom design work, like the ginger-mango truffle they created for The Ritz Carlton. 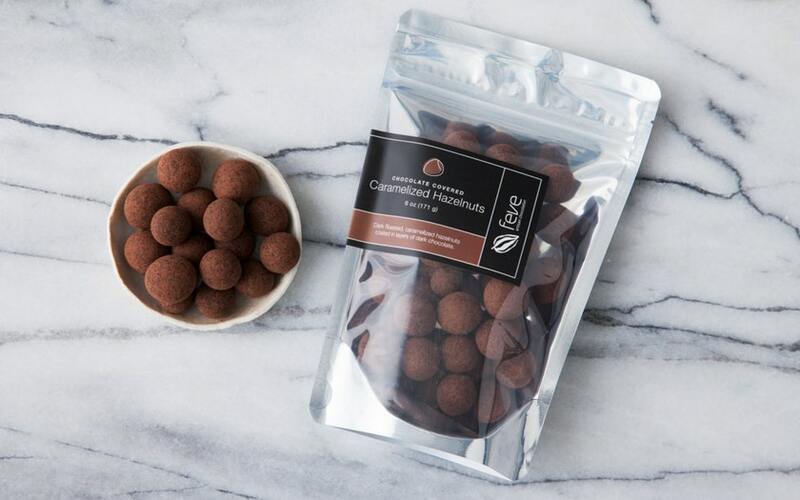 They’ve also won four Good Food Awards, including a nod this year for their Cherry Vanilla Single-Origin Chocolate Truffle. With demand for their confections soaring, they’re even thinking of opening a retail location in San Francisco. With so many tempting flavors to choose from, we couldn’t leave without asking Shawn and Bryon if they had a favorite. Both had the same response.